At A&A Auto and Truck we pride ourselves on being your one stop source for all your recycled auto and truck parts. A & A is located in Orlando, but we ship Nationwide. 30 acres and over 2500 cars for parts, chances are we have what you need. Our prices are super competitive, our guarantees are the industry standard and our local shipping is FREE, with competitive nationwide shipping available for less than you may think. A&A Auto and Truck Parts has proudly serviced the community for close to 20 years, and as the industry grows so do we. We are equipped with a nationwide parts locating system, computerized inventory, knowledgeable sales staff and the area’s largest inventory of late model foreign and domestic parts. Using recycled parts is smart. Smart not only for the savings realized over the cost of new parts, but the perfect choice for the environment too. At A & A we have invested in the latest technology and training, while using our state-of-the-art equipment to reclaim, clean and recondition used parts. Today, we are one of the most advanced and respected automotive recycling centers in the country. We specialize in JDM Engines! When it comes to JDM engines in Orlando, we are the trusted experts. JDM stands for Japanese Domestic Motor. Whether you have a Nissan, Honda, Mazda or other Japanese vehicle, we have the right engine at the right price. All you have to do is provide the vehicle identification number and we’ll do the rest. Why do more people turn to us for recycled auto parts in Orlando? It’s simple. Our job is to make your life easier. 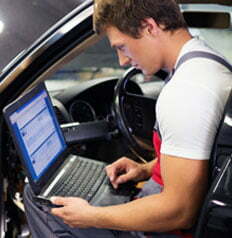 We can find the right parts and provide immediate and complete engine installation in Orlando. Most auto parts facilities have limitations. Others only carry new parts and don’t offer affordable options. The team at A&A Auto & Truck offers the quality of complete service along with the best affordable solutions.